This year I learned to share. And it’s been awesome. I shared cars and bikes. I shared office space and jobs. I subbed as a videographer for a friend on maternity leave and as a middle school English teacher at a local private school. I shared my home and family with exchange students from France. We are moving from a culture of rugged individualism to collaboration. Make your expectations clear. I am so grateful to the teachers who left me very specific instructions on what to do with their classes while they were out. Yes, I have a bunch of creative curriculum ideas, but it’s best to go with their plan. Leave the place nice for the next person. Like, when driving a Zipcar or Enterprise car, don’t leave your OTB stubs in the front seat. I admit I am the person who did not clean up the pine needles from the Christmas tree in the back seat last week. However, I have cleaned up my own (and earlier renters’) coffee cups, parking stubs, and such. Skip the elequent email, pick up the damn phone. I felt slightly chastised after offering an idea for my professional organization and I wrote that in an email. But rather than get in this lengthy email swap, the president of the group picked up the phone and called me. We worked it out in no time flat. Instead of getting in this tortured email chain, we talked directly. Yay. It’s nice when we can play nicely. And it’s not that I don’t expect us – any of us – to have problems, we will. A collaborative journey can be way more difficult and unwieldy than a dictatorship. But ultimately, sharing is best for everyone. have a plan. when our exchange students came to live with us, I was worried about our ad hoc dinners. So Charlotte and I made a two-week meal plan, adding our favorites to the lineup. On the morning of his departure, one student said to Chris, “I like you cook.” So, you see, their English did not improve much, but their appreciation for our food did. So, for me, 2013 was a year to share. Now, if I could just get my darlings to share in the kitchen cleanup and the paying of bills, we’d be all right. 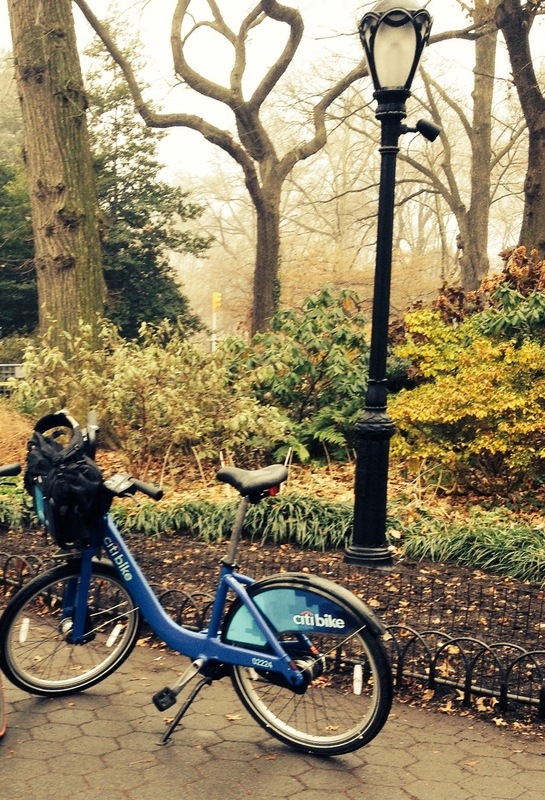 Here’s a CitiBike I shared. 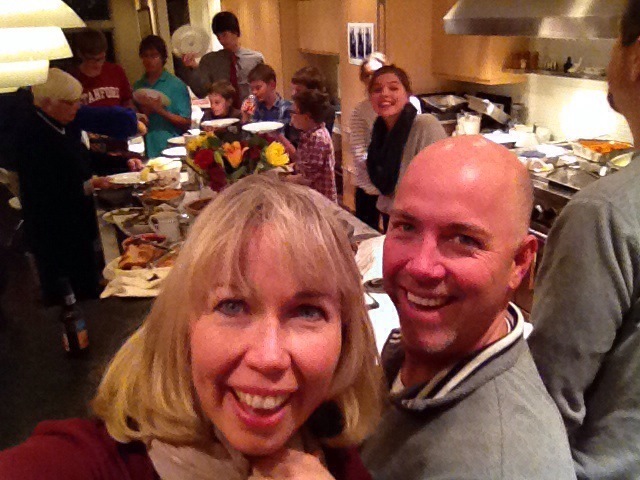 And a Thanksgiving dinner (that’s me with my brother!) Holiday dinners are a perfect time to share. Hope you get to share this Christmas with people you love and keep the love and sharing going throughout the new year! Thanks, Mary Beth. Brings me down to earth and makes me think about other people besides myself. Happy New Year!